This is an early project in our portfolio and yet it continues to contain design and functional ideas that are still exciting. This heater was built in the Patagonian region of Argentina so the the building vernacular and codes were different to that of North America. Our technique has vastly improved in these almost 15 years since this project was built. I wish I had captured an image of this project with a more lively fire in the firebox. Modernized with some glass doors could look really nice. 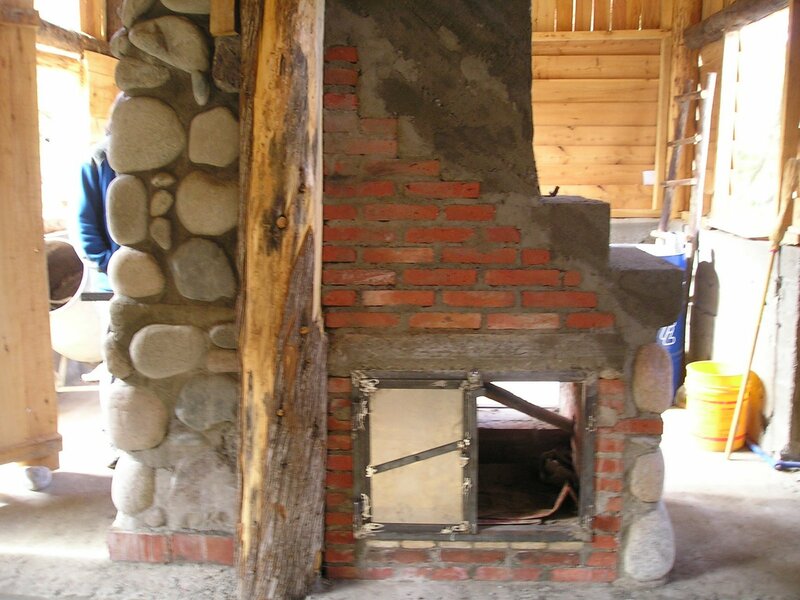 It is an open fire place that turns into an efficient mass stove when the doors are closed and the flu direction changed. 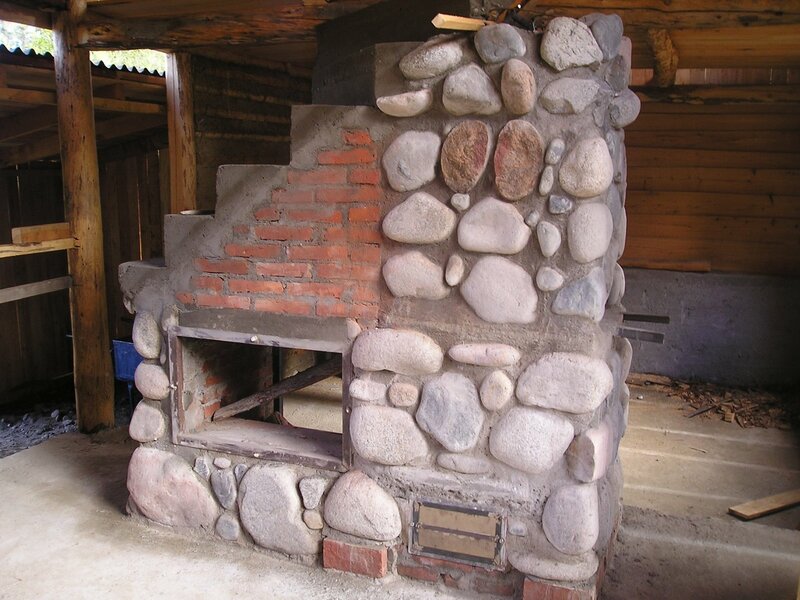 The backside of the fireplace is actually an oven when viewed from the kitchen. Hot water pipes run through the firebox and feed a hot water tank on the second floor which works in parallel with a solar heating system. Claudio Rivero designed the plans and then Max Edleson did the masonry and metal work.